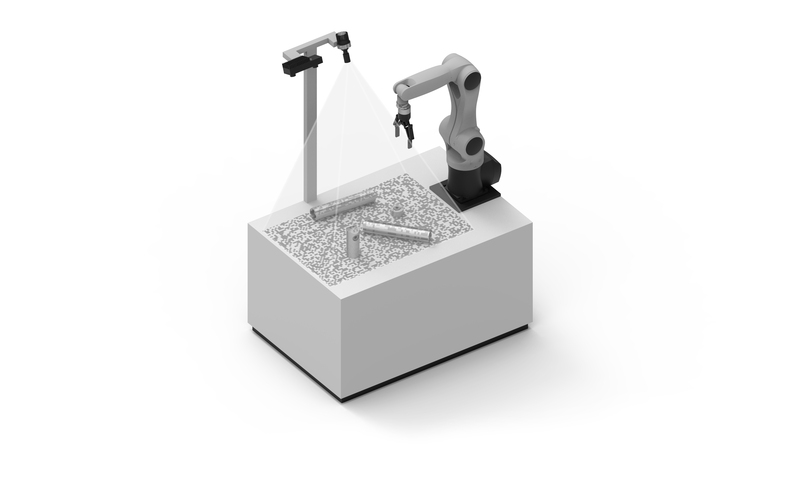 Roboception is now able to offer a solution for scenes or objects that are particularly difficult to perceive: e.g. shiny metallic objects or light, flat surfaces. The RandomDot Projector is a specifically tailored projector that can be used as an enhancement to the rc_visard when the perception of particularly difficult scenes with little or no visual texture is required. This tailored white LED projector projects a random dot pattern and can be mounted over a scene or directly on sensor. It is suitable for use with any rc_visard (monochrome and color).